Bill Condon | The Reviewers Unite! So Maleficent was good, as were the two Alice in Wonderland movies (WHAT!? THEY ARE!! ), but what exactly is Disney’s end goal in trying to burn through their entire catalog in search of reigniting nostalgic fans to spend money on these stories once again? Sure, Mulan seems like a good idea, but they’ve got plans for live action adaptations of The Little Mermaid, The Lion King, and even a Dumbo movie that’s been in development for almost three years now! Before all that though, we’ve got this remake of the classic 1991 film which seems to be the most… shall we say FAITHFUL, of the bunch so far as the trailers seem to imply that it’s basically shot for shot. Then again, they did bring Bill Condon on hand to direct who’s work includes Dream Girls and Chicago, as well as the ONE decent Twilight movie (*cough* Breaking Dawn Part 2 *cough*), so maybe there’s a bit more inspiration and creative flourish on hand than what we’ve been lead to believe from the marketing. Is this the yet another success for the Mouse House and the new direction they’re taking with their non-Marvel and Non-Star Wars films, or is this just a lazy cash grab for a studio that can do much better? Let’s find out!! The movie is… well it’s Beauty and the Beast. Do you NEED me to tell you what it’s about? Ugh… fine. There once was a prince (Dan Stevens) who was total jerk. He rejected a beggar woman at his door which seems to be standard protocol in the Aristocracy, but this beggar was the one in ten thousand that you do not mess with as she turns out to be an Enchantress who puts a curse on the prince, his castle, and all of his servants. The prince, who is now a furry, has to find true love before time runs out which is determined by a magic rose slowly dying in his room or else the curse will be permanent and he will have to live as his fursona for all time! Now I wouldn’t think that would be TOO bad of an outcome (buff as all hell, no summer heat because the castle is in a perpetual winter, you don’t have to pay your servants anymore), but I guess it’ll do for a redemption arc. More important than that though is the story of Belle (Emma Watson) herself who is a bright young woman from the local village that can’t wait to live a life of excitement, adventure, and proper bathing habits; none of which she can find as long as she stays there. The village thinks she’s strange because she can read and stuff which makes her a bit of an outcast, but that doesn’t avert the local hottie Gaston (Luke Evans) from pursuing her with all his M’lady charms; backed up of course by his friend LeFou (Josh Gad) who’s just happy to be spending time with the big lug the same way Smithers finds working with Mr. Burns to be so rewarding! When disaster strikes and Belle’s father (Kevin Kline) is locked up by The Beast for trespassing on his land, Belle agrees to take his place and stay in the castle… FOREVER!! Admittedly not the BEST way to start a relationship, but maybe he can learn to stop acting like an uncouth animal from her example and maybe she can finally experience some of that adventure and wonder that has eluded her for so long. I mean… she’s STILL a prisoner, but it is at least a really nice prison! Will The Beast learn his lesson about giving poor people food (or was it finding love?) before it’s too late? What will Belle do now that she’s trapped in a magical castle with talking furniture, and will she find a way to escape her captor? Does anyone else think Ron Perlman should have been cast in this? Thirty years later, and he can STILL pull it off! Oh don’t pout! NO ONE is as good as Hellboy! This entry was posted in Cinema Dispatch and tagged Adrian Schiller, Audra McDonald, Beauty and the Beast, Bill Condon, Dan Stevens, disney, Emma Thompson, Emma Watson, Ewan McGregor, Gary Trousdale, Gerard Horan, Gugu Mbatha-Raw, Harriet Jones, Hattie Morahan, Henry Garrett, Ian McKellen, Jesse Corti, Josh Gad, Kevin Kline, Kirk Wise, Luke Evans, Movie Review, Stanley Tucci, Zoe Rainey on March 19, 2017 by Matt Vetrano. What is this!? A movie in the summer with explosions!? A period piece right in the middle of this year’s boom-a-thon!? Well this actually has a bit going for it that might explain why it’s being released now instead of in a couple of months, other than trying not to get crowded out during the Oscar months. It’s about Sherlock Holmes who couldn’t be bigger right now what with the BBC and CBS shows still kicking around. Not only that, we have genre super star Ian McKellen in the title role and it’s being directed by Bill Condon who has a BIT of a shaky career (he directed the best AND worst Twilight movies) but still has a lot of credibility for earlier works like God and Monsters and Dreamgirls. So either it’s get a jump start on Oscar season by trying to muscle in with the big boys, or it’s hoping to come out before any less than stellar comparisons can be made once the summer ends. Which one is it? Let’s find out!! 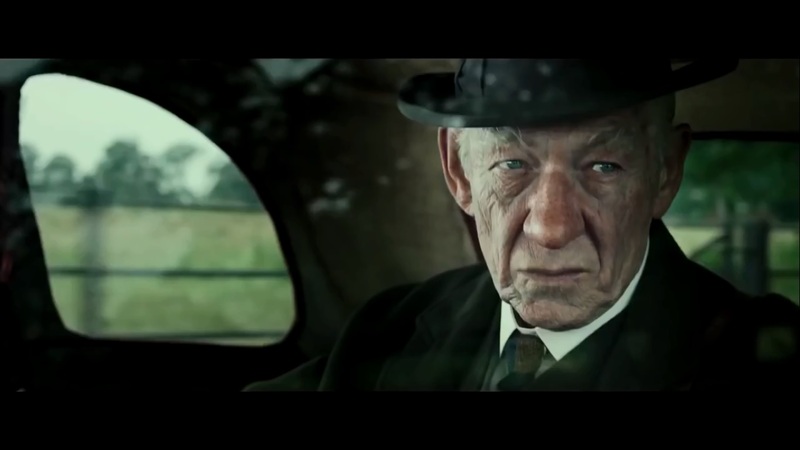 The movie is about Sherlock Holmes (Ian McKellen) who is getting up in years (ninety-three and counting!) and has spent quite a few of his twilight years in seclusion from the rest of the world. After just arriving home from a trip to Japan (it’s 1947 so it’s not that long after the bombs dropped), he begins to form a bond with the son of his housekeeper and they grow to enjoy each other company as Sherlock is looking for someone to spend his final days with and the young boy (Roger) is looking for a father figure since his own died in World War 2. Along with his growing friendship with young Roger (Milo Parker), he also tries some remedies he brought back from Japan in order to help his memory which has been fading recently and he wishes to recall more details about the final case which apparently went unsolved and caused him to retire. What were the circumstances surrounding this case? Will he find joy in his remaining time on Earth through Roger who seems to be quite quick witted like himself? Will solving this final case finally bring about the peace that has been absent from his life for so very long? 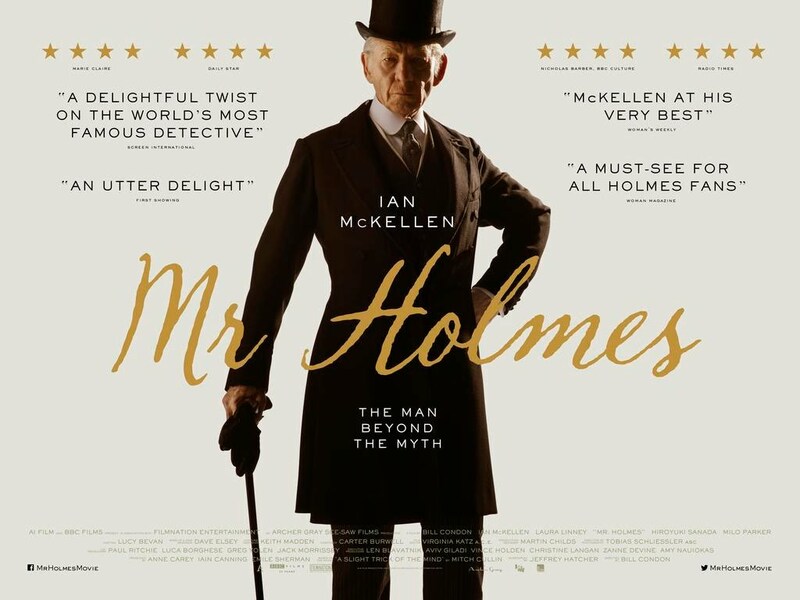 This entry was posted in Cinema Dispatch and tagged BBC, Bill Condon, Ian McKellen, Mr. Holmes, Sherlock Holmes, Sir Arthur Conan Doyle on August 11, 2015 by Matt Vetrano.